THE Galleons Passage is scheduled to leave port Honolulu, Hawaii, tomorrow morning for Acapulco, Mexico as it makes its journey to Trinidad. 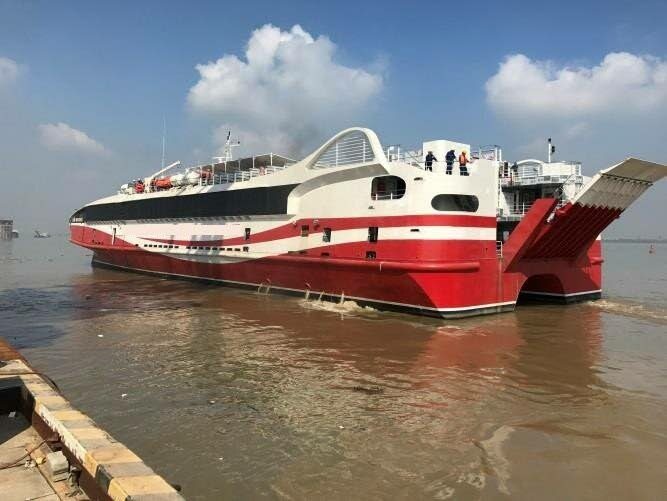 Yesterday’s tracking of the China-manufactured new passenger boat, purchased by the Government to service the seabridge between Trinidad and Tobago, revealed that the vessel was moved from Pier 1 to Pier 2 A on the port. It made its call last week Monday at Honolulu and remained in the Pacific ocean until it was granted permission to berth a day after. The website Hawaii.portcall.com revealed the vessel was scheduled to leave on Monday, but online checks yesterday showed it was moved from its position at the port. It will sail to Acapulco for about seven days where it will remain for five days. The crew, according to international shipping regulations, must disembark for a few days. The boat will then sail to Cuba where it will be outfitted with an upper deck and seats before making its journey to Port of Spain. The tentative arrival date is May 17. Reply to "Galleons Passage leaves Hawaii tomorrow"